Lauren Rogers is the current president of SWE. This year for SWE we have had lots of professional development opportunities, but also social opportunities. She hopes to continue that trend for next year. Also, next year for SWE she hopes to start a mentoring program for sophomores and incoming freshmen. This way the experiences of older members can be easily passed down. She has been involved in SWE since freshman year, and it has a huge impact on her life. The opportunities available through SWE are so unique, and Lauren hopes to spread the message of the organization as well as promote the resources that SWE has to offer. Hannah Smith is a junior pursuing a degree in Industrial Engineering with a minor in Supply Chain Management. Hannah is a member of Tau Beta Pi, Alpha Pi Mu, Institute of Industrial Engineers, Golden Key Society and served as Treasurer of Society of Women Engineers, Property Manager of Alpha Omicron Pi, and Student Ambassador to the University. During the past academic year as treasurer for SWE, Hannah has managed both of the organizations accounts while budgeting for travel to national and regional conference as well as monthly activities. During the year, she has worked with ASG to ensure funding is received for events and travel in order to allow members to take advantage of the opportunities offered by SWE as a whole. During the next academic year, Hannah hopes to help SWE build its membership and fundraising goals. After being a leader of many organizations on campus, Hannah hopes to apply her skills and knowledge to build the University of Arkansas Society of Women of Engineers chapter on campus. Hannah Koehn, currently the Public Relations Officer for SWE, is a junior studying industrial engineering. Throughout the year, she was highly involved with SWE helping to advertise events and coordinate meeting logistics, in addition to doing many other things. Hannah also had a leadership role during the planning of the SWE golf tournament, serving as the Advertising Chair. She has loved learning more about SWE this year through both her involvement with the Arkansas chapter and her attendance of the national and regional conferences. These different experiences have inspired Hannah to continue to serve as a leader for the Arkansas chapter and to continue to help the chapter grow. Through her interaction with SWE members from other schools she has been able to learn what other chapters do and would love to implement some of those ideas here at Arkansas. As Vice President, the main thing that Hannah would like to start next year is a mentorship program for incoming freshman or transfer students who want to become involved in SWE. She believes this would be a good way to build relationships and help develop a sense of community within the organization, which is something that she would love to improve upon. Hannah is responsible, hard working, and ambitious, and if elected she would be honored to help lead SWE in the 2014-2015 academic year. Marina Lee will be a junior in chemical engineering this coming fall. She was born and raised in Broken Arrow, Oklahoma, but Arkansas is her home away from home. When she is not studying, you will probably find her relaxing at the Greek Theater (that is, if Arkansas weather doesn’t suddenly decide to rain or snow), and on Friday night you can be sure to find her at Scarpino’s where she will salsa the night away! If you have never salsa danced before, then she encourages you to come- it’s a blast! SWE has been important to Marina from the very beginning of her freshman year. This year she went to the regional conference and served as the non-officer advertising committee chair for the 1st SWE Golf Tournament, which raised over $700 dollars. She would love the opportunity to contribute even more to the organization by being an officer. As an officer Marina wants to expand on what the current officers have been working on in encouraging the formation of a more, tight-knit group of girls. When she went to regional conference she got to know the officers much better, and would like for that to happen with SWE as a whole next year. There are so many things that we can do to bond as a group from Uno night to rock climbing! As girls in engineering we need to stick together! Marina also wants to spend more time organizing our big fundraiser event, such as the golf tournament, to be able to make it even more successful next year. Raising $700 is fantastic, but she is certain we can raise even more for our outreach program! SWE is a great organization to be involved in, and Marina looks forward to reaching out to even more girls. The officers this year have done a great job, and she wants to help make it even better next year. Bethany Gregory wants to be able to help keep SWE as involved as it is currently if not more. She does not enjoy being a member of groups where we show up once a month to snack and then leave. She likes having meetings where the topic is important to what we do as women in the field of math and science. She likes how our group stays active in the community with projects such as Make A Difference Day. Bethany wants SWE to grow to involve more women in STEM fields so that those girls can feel as if they belong and so that they can receive the knowledge they need to become powerful women in the workforce. When members came to speak about professional development she learned so much from them that helped her when she tried to get her co-op. Bethany wants that kind of help to continue next year and the year after that. She is majoring in Chemical Engineering and next year is her senior year. Bethany is also a member of AiCHE and was secretary of AISES her sophomore year. She loves to volunteer because it gives her a chance to help others who need it and she enjoys being active both indoors and outdoors when she can get away from homework. Jessica Montgomery is a Mechanical Engineering major from the Fort Smith, AR area and attends the U of A as a first generation student. Later in her undergraduate career she will be pursuing a Nanotechnology minor. She enjoys reading, hanging out with friends, and traveling. This semester Jessica has organized and participated in the Youth Outreach program for Mechanical Engineering and plans to attend a few more. For three weeks this semester she will be in Dangriga, Belize for a Faculty-Led Community Development service project where she is currently the team leader of a swine biogas chamber construction for a local farmer. Creating and learning is her passion. Being a female engineer comes with its own challenges but SWE has helped Jessica learn to embrace who she is and what she loves. The SWE chapter here at the U of A is a great community and she would thoroughly enjoy being part of the leadership group. As an officer she would hope to further spread the awareness of the society to increase the membership and overall camaraderie of us all. Lexi LaMott is currently a sophomore electrical engineering and physics major. She is from Tyler, TX and hasn’t been happier since moving to Fayetteville. She spends a large amount of time with her friends camping at Devil’s Den, hanging out at the arcade, and during the fall you will always find her at football home games. Lexi loves being a part of SWE and was fortunate enough to travel to the regional conference this past February. It was a phenomenal experience and attending really solidified the fact that she wanted to become more involved and really contribute to building our chapter. She loves working with people and has some really great ideas for making SWE more visible on campus and in the community. She thinks more awareness in the FEP program is a great start and has ties to the mentoring program to help get our name out to freshman girls. In addition, Lexi is currently working on a sponsorship package to give to businesses in NWA so that we can continue to grow and fund our chapter. She truly enjoys being a part of SWE and really hopes that she can be instrumental in keeping our section awesome! Samantha Allen, most commonly called Sammie, is currently a sophomore in chemical engineering and some of her hobbies include running as well as hanging out with friends and having Disney movie marathons. She wants to be an officer because she has always loved making connections with people and listening to what others opinions are before making an important decision. She always follows through with the projects she has planned out giving a 110%. Sammie would be a good fit for this position because she loves getting people involved with projects and tasks. And she wants everyone to feel like they are welcome and can participate. Savanna Kis is a freshman Industrial Engineering major. She thinks she would make a good public relations officer because she is very organized and social. She will be able to get the word out about events we are having and encourage people to come to them. She can help SWE grow by getting the word out and promoting our events and fundraising. Savanna thinks she would also make a good secretary because she checks her email and responds to it regularly. Also she will keep up with everything going on in SWE to help other members. She is currently a “gold member” and plans on being in SWE for her next 3 years at the University of Arkansas because she thinks it is a really great organization that she would love to become more apart of. Kaylee Smith is a Junior Chemical Engineering and Physics major. This year as secretary she was able to become extremely involved with SWE and learn about the significant number of opportunities available to SWE members at the regional and national levels. As an officer next year, she would like to help everyone be able to utilize the opportunities available to them as members by giving plenty of advance notice for events. Kaylee has particularly enjoyed the personal connections she has been able to establish with chapter members in her position as chapter secretary. As Vice President, she hopes to be able to continue developing those relationships and implement more programs to help other members establish these connections with both other members and chapter officers. 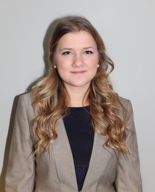 She also looks forward to continuing to bring different professional development opportunities to the SWE U of A chapter so that members can grow and develop their professional knowledge and skills. Outreach is something Kaylee is very passionate about. She really enjoys helping others, specifically when it involves inspiring young girls to consider STEM fields as career options. She is currently working on a grant proposal to fund an outreach program next year geared towards middle school girls. If the grant is received, the girls will meet once or twice a month and do engineering projects led by SWE members. As Outreach Chair Kaylee plans on having a committee that consists of at least one person from each discipline to contribute project ideas and help lead the events. This will allow the girls to learn about each discipline from someone who is passionate and knowledgeable in the area. Kaylee would love to represent you as a chapter officer next year. If you have any questions for her, please feel free to e-mail her at kjs004@uark.edu. Tori McDaniel is a sophomore in Industrial Engineering from North Little Rock, Arkansas. In high school she was extremely active, participating in student council, yearbook and technical theater. Due to this and her academic merit she was granted the award of North Little Rock school district’s Student of the Year. Although she was honored and humbled to receive this, it may have caused her to rest on her laurels, and therefore in her freshman year Tori did not get involved with anything outside of academics. By the beginning of her sophomore year, her altruistic and social natures began to return and by the second semester she knew she had to get involved and chose to put that energy into SWE. Tori has thoroughly enjoyed the opportunity to be a part of SWE, and what she appreciates most is the safe space that SWE provides for women to be themselves and that SWE has an open enough environment that she was able to serve as an Outreach Coordinator within the first meeting. This opportunity sparked Tori’s interest in becoming the Outreach Chair. As an Outreach Chair she would use her passion for service and skills in event planning to build upon SWE’s established events and grow our presence and usefulness to our University and community.